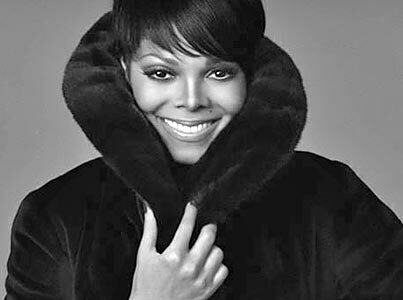 Actress and pop superstar Janet Jackson has revealed a new ad campaign with fur label Blackglama. Ms. Jackson is participating in Blackglama's 'What Becomes a Legend Most?' campaign. The ads feature pictures of Jackson taken by photographer Rocco Laspata and will run in Vanity Fair, Vogue, Harper's Bazaar and other magazines. Jackson will also appear on a BlackGlama Billboard above Times Square in New York City. Janet Jackson is a megastar and a triple-threat talent who can act, sing and dance. In addition to longevity (star since childhood), Jackson's recent performances on American Idol, at the Essence Music Festival and movie role as Dr. Patricia in "Tyler Perry's Why Did I Get Married Too?" clearly show that she is as vital and productive as ever. In addition to the renewable resource aspect of fur, AAEA supports Blacks in particular wearing the product because they were denied access to furs for centuries. Due to the unfortunate economic repression of Blacks in America for centuries, they could not afford to purchase expensive furs. Just as Blacks can now afford waterfront properties and are gaining the capability to participate as owners in resource production, certain conservationists want to deny Blacks the freedom to express themselves in the marketplace. Some want to close off waterfront areas, even as their ancestors own massive waterfront properties and have two boats and piers. To critics of Blacks who wear fur, consider that maybe these Blacks should be allowed to consume some before you demand that they conserve. To the extent that you reject this contention, then we must reject and ignore your complaints. In the USA, fur farmers are regulated by their state department of agriculture and must operate under federal environmental standards, such as the Clean Air Act and the Clean Water Act. Fur farmers have also developed a comprehensive set of their own standards, in consultation with veterinarians and animal scientists, to ensure the highest quality of animal husbandry. These standards are administered by Fur Commission USA, which is also responsible for ensuring they are revised and updated whenever required by current knowledge of animal care and farm management techniques. (OA) Fur Commission USA is a non-profit association representing over 600 mink farmers in the United States.